Jay bought this 1970 Chevy Nova back in 1966, sight unseen, straight out of a junkyard. Jay got the junkyard 1970 Nova back up and running and used it as a daily driver up until late 2007. 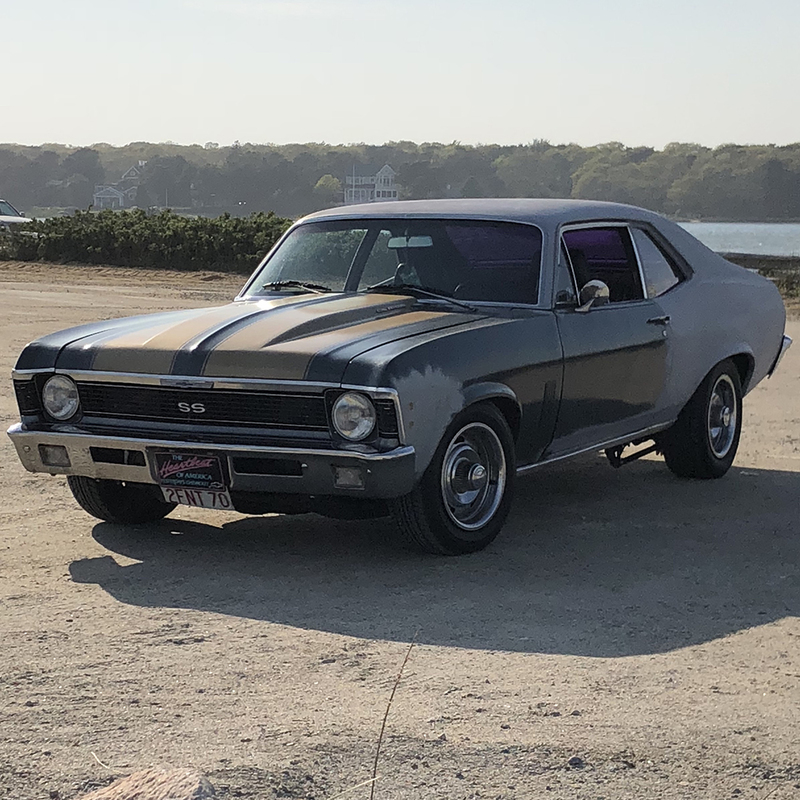 With many years on the road and going through day-in-and-day out driving the 1970 nova really started to show its age and where it came from. So, in 2009 Jay deiced to retire it as a daily and started redoing it to bring its back to its before junk yard roots. While Jay was re-touching this 1970 Nova he made the decision to switch things up a bit. Jay finally got the car back up and running in 2016 and was finally able to drive it again after 7 long years of work.